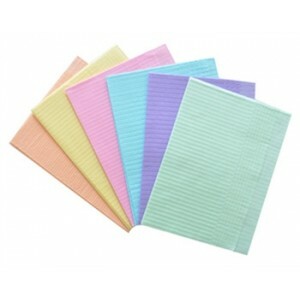 Paper Towels/ C-Folds/ Tissue for Dental Clinics. Nicetouch Patient Towelettes Our exclusive NiceTouch Patient Towelettes please patients and save yo..
Horizontal embossing allows the moisture to flow horizontally across the towel, protecting the patie.. Revolutionary bio-adherent mucosal coating for oral soft tissue pain and aphthous ulcers. ..
Standard size towel offers reliable absorbency, well suited for basic check-ups, consultations and X..